Ekopia is currently looking for a part time (maximum 7 hours a week) Project Manager to help with a construction of a new Social Enterprise Hub. 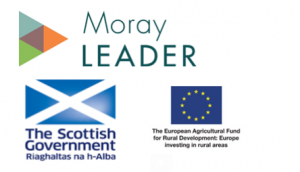 This project is part-financed by the Scottish Government and the Moray LEADER 2014-2020 Programme. The European Agricultural Fund for Rural Development: investing in rural areas. Experience using construction contracts / Contract Administration. Good working knowledge of all the main project management concepts, tools and techniques. Plan the delivery of the project. Identify, produce and manage all risk assessments for the project. Manage and implement all Health and Safety procedures for the project producing regular reports, as required. Control and monitor the use of all resources including sub-contractors to maximise efficiency and minimise cost. Undertake procurement functions for all aspects of the project. Report progress on the project to the M.D regularly. Manage and monitor the contract progress, assess and report any changes that may affect timescale or project cost. Ensure all necessary contract documentation/reports are in place. Understand budgets, valuations and costs whilst recognising contractual requirements. Ensure quality is maintained to the highest standard throughout every project. Please apply by sending your CV and a covering later to [email protected] or call 07584416653 for more information.